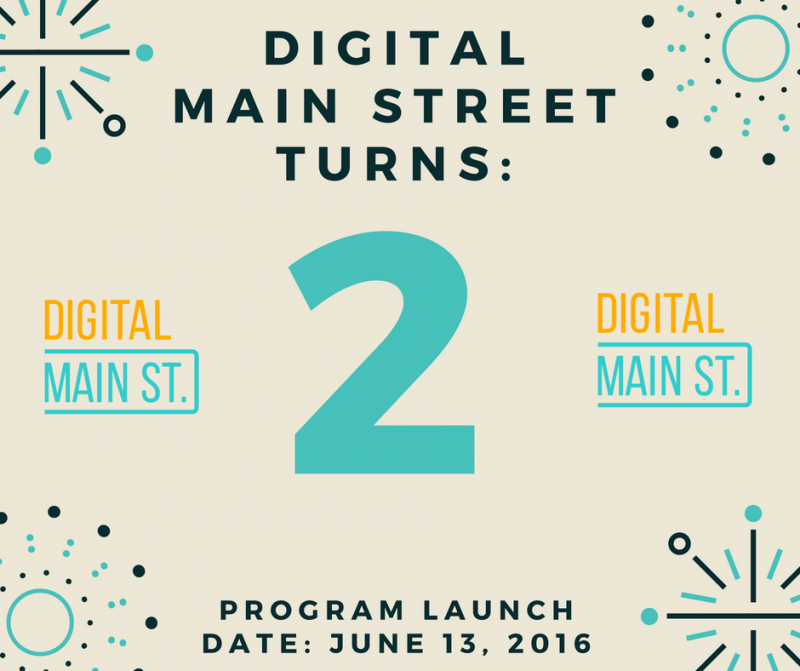 Digital Main Street turns 2! It was exactly two years ago today that TABIA (The Toronto Association of BIA’s) and the City of Toronto officially launched Digital Main Street in Toronto. Wow – hard to believe it has already been two years. In that time, we have seen so many changes to the program and how it is delivered, but its core values never waivered – “helping main street business grow by adopting Digital Tools and Technologies”. 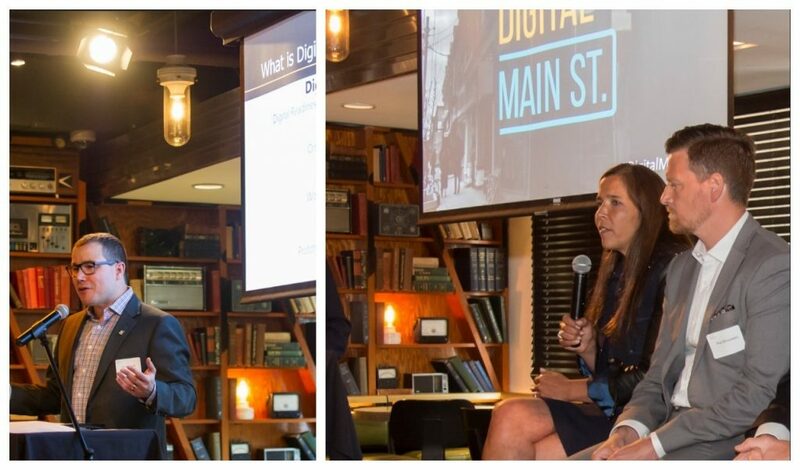 Chris Rickett (City of Toronto), and Nyla Ahmad (Rogers) speaking at the Digital Main Street launch event on June 13, 2016. In that regard, we have been able to engage over 6,000 businesses throughout the City of Toronto and visit over 2,500 businesses in person to help them one-on-one with their Digital Transformation. Building on these numbers though, we have really seen a change in the main street business ecosystem in Toronto. 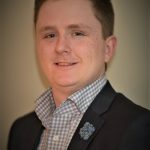 This all happened as part of our one-on-one support and partnership with the Enterprise Toronto team, and our mission to empower business owners not only from a digital literacy standpoint, but also from the viewpoint of making them smart consumers and more knowledgeable when it comes to making purchasing decisions for their businesses. The real beauty in what we have accomplished in the last two years in Toronto I think can best be summed up in one word. Collaboration. If it wasn’t for our countless partners and supporters – I do not know if DMS would be where it is at today. Starting of course with the internal team at DMS and every person that has been part of our team over the last two years. Our Partners! Where would we be without our Program Partners who have all been with us since Day 1. They have supported Digital Main Street prior to program launch and continue to help us drive the program and growth today. Having these leaders in their respective industries support us with content, thought leadership, educational training, product resources for businesses and so much more has been invaluable for us and we are grateful for that! So, Google, Mastercard, Rogers, Shopify and Microsoft – THANK YOU and we look forward to continuing to grow Digital Main Street with you. 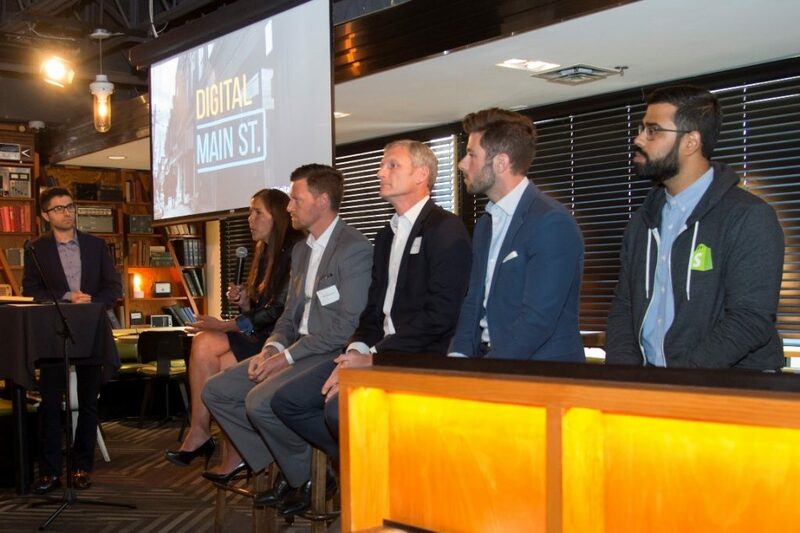 Various representatives from Digital Main Street program partners (Rogers, Google, Mastercard, Shopify, Microsoft) at the DMS Launch event on June 13, 2016. 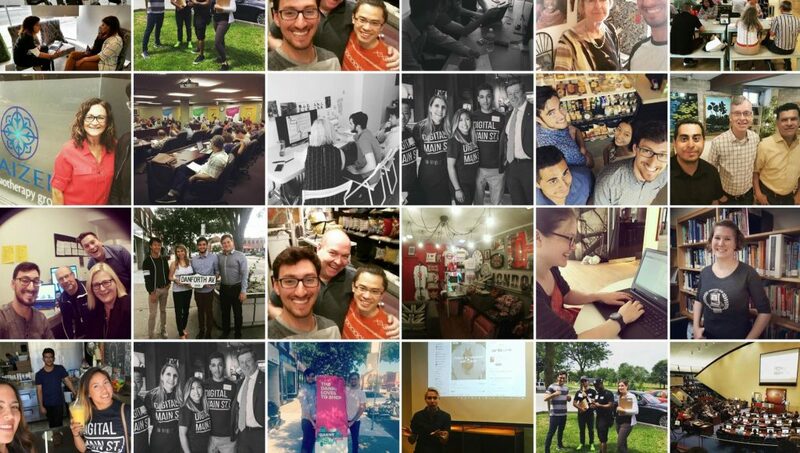 To all the BIA’s across Toronto who have engaged with us in any capacity – we could not have done this without you – so I simply want to say thank you for allowing us to help your members and for helping us grow our program into one of the most innovative economic development tools in the city and beyond. 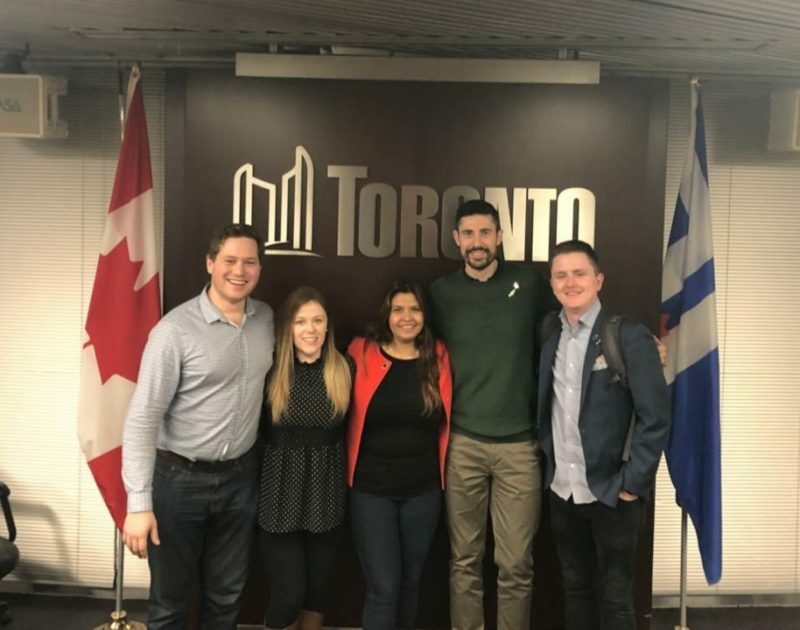 Oliver Hierlihy (Danforth Mosaic BIA), Jessica Wright (formerly of the Beach Village BIA), Tasneem Gandhi Bandukwala (Gerrard India Bazaar), Stephen-Thomas Maciejowski (Cabbagetown BIA), and Darryl Julott (Digital Main Street) at the BIA Week kick-off event at Toronto City Hall. In the same sense that collaboration helped us grow and develop the program in Toronto to what it is today – it is also the driving force behind our upcoming expansion. Working in collaboration with OBIAA, The Province of Ontario, TABIA and the City of Toronto – we will be rolling out Digital Main Street across Ontario to all municipalities and BIAs. This will allow us to expand and develop the program to service not only businesses in Toronto, but main street businesses across all of Ontario through the recently announced Main Street Digital Initiative. Stay tuned for more information regarding official program expansion later this month and make sure you are subscribed to receive updates by visiting www.digitalmainstreet.ca and signing up today! Also read: Toronto’s Digital Main Street to expand across Ontario. Just want to end quickly by saying thank you and expressing my gratitude to everyone at every level who has been involved in making Digital Main Street what it is today. It has been quite the ride and I am looking forward to continuing to grow our team, the program and our impact on main streets across the Province. One more time – THANK YOU!